Introducing the new HEXBUG Nano V2 Neon Launchpad. This set features a central launcher with targets of varying height and includes one HEXBUG Nano V2. The nano V2 is a tiny micro robotic creature that scurries up through tubes to explore its environment. 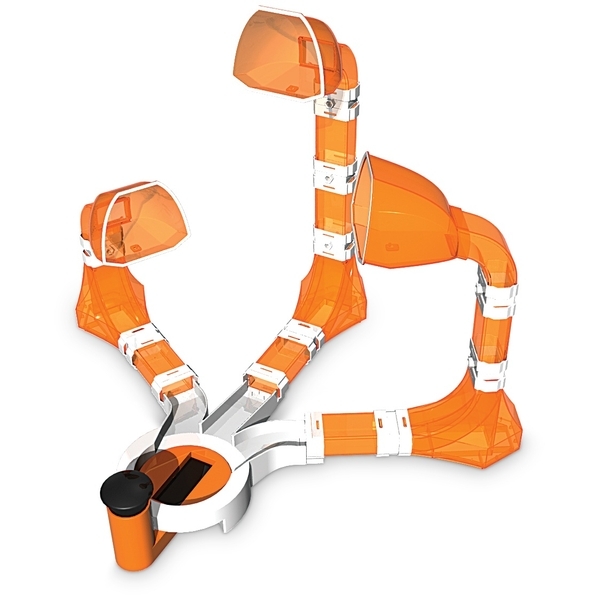 The quick little critter possesses an uncanny sense of balance, capable of crawling through tubes on its feet or on its back and can pass another bug in a single tube to avoid a traffic jam! The nano V2 will even flip to its feet when landing on its back on an open flat surface. The HEXBUG nano V2 neon Launchpad channels kids' desire for a challenge. After assembling the set, place the nano V2 at the centre point and rotate the base towards the target you want to reach. Hit the launch button with just the right amount of pressure and watch as the HEXBUG nano V2 soar through the air into one of the targets, scurrying down through the neon tube, ready for another ride.